Beetroot is very beneficial for our health in many ways. 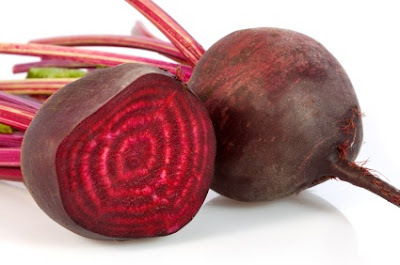 Beet has good amount of iron, vitamins and minerals which increases the hemoglobin and blood clears. It has antioxidants that provide the ability to fight against disease. Therefore, you must have to include it in your salad or vegetables. You can also get more benefit from its juice. Anemia: Beet juice creates hemoglobin in the body. It has high amount of iron which makes red blood cells and communicate fresh oxygen in the body. Beetroot is very beneficial in anemia. The root contains vitamin C and beet contains vitamin A. Skin Problem: Boil the beet in water and apply this water on skin infections and pimples. You can also add vinegar and apply it when you measles fever. Women: Beet juice keeps you away from hypertension and cardiovascular problems. It is very beneficial for women. It is very beneficial in several problems of periods/menstrual. Energy in Aging: Energy and strength decrease with aging. Beet increase energy to the older people. During exercise older people require more oxygen. In this case, you can intake beet juice before exercise. Digestion: You can intake beet juice mixing lemon juice when you get jaundice, hepatitis and diarrhea. Heat Disease: Beet juice keeps you away from heart disease and cardiac problems. Beet juice contains nitrates chemicals which reduces blood pressure. It reduces the risk of heart disease or seizures. Beet juice keeps blood pressure stable during exercise.